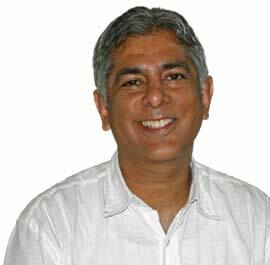 Dr. Steven Gupta is Medical Director of The Health and Self Enhancement Center. He was born in Bombay, India, where he obtained his medical training, graduating from the University of Bombay in 1981. In 1983, he immigrated to the United States where he attended and completed his residency training from Iowa Lutheran Hospital in Des Moines, Iowa in 1988, then relocated to Sarasota, Florida 1990 where he established Bee Ridge Family Practice. He has had extensive ER experience and worked in various emergency rooms over the last 18 years. Over the past 15 years, he has traveled widely with his team to obtain further training in Surgical Hair Restoration, Laser Hair Removal and recently, anti-aging medicine. He has demonstrated his techniques to various hair transplant surgeons in the United States and abroad. Prior to setting up the Health and Self Enhancement Center, Dr. Gupta was the Consultant and hair transplant surgeon for the Alpha Omega Clinic, a very busy hair transplantation practice in Tampa, Florida and performed all of the surgical procedures for this clinic from 1996-1998. He has opened the Health & Self Enhancement Center which provides medical hair restoration surguries onsite and now offers surgical procedures on weekends. call (866) 684-7238 or (941) 371-9355. *ABOM affiliated with the American Board of Medical Specialties. The specialty recognition identified herein has been received from a private organization not affiliated with or recognized by the Florida Board of Medicine.